What is the history of ‘foreigner’? The question is obvious, and fundamental. But the response is far from evident. What did the pantheon of western philosophy have to say about the concept of the foreigner ? How did they conceive of what makes something or someone ‘foreign’ ? Early on, with Plato and especially Aristotle, the philosopher enters the conversations of the polis. The philosopher, an offspring of ancient contemplative and ascetic traditions, is now dedicating a great extent of his thought to practical, political and administrative questions. Here, his purpose is rather clear : the philosopher does not aim only, or primarily, at leaving humanity with just a set of profound reflections on the central questions of life. Rather, the philosopher, then, starts influencing for the better his very society, within the span of his personal lifetime. The philosopher suddenly has political aims. Truly, philosophy would remain speculative, largely and for centuries, from metaphysics to aesthetics, epistemology and theoretical ethics, but the practical preoccupations of a number of philosophers would also contribute to shift the development of a variety of concepts within certain intellectual frames. If Heidegger deplored a history of metaphysics as oblivion of Being, we should perhaps, today, regret a history of the foreigner that forgot the foreign. Only such a hypothesis could explain how philosophy, social sciences and the humanities had to wait for the late 1980s, just twenty-five years ago, for a first major study of foreignness. And naturally, Julia Kristeva’s Strangers to Ourselves would have to start the work from scratch : it opens the field, first, by tracing the lines of a history of the conditions and treatments of foreigners in the larger history of Europe and the West. What is the story of the foreigner? Where can we find this story ? In some of the earliest literary works from humanity, from the Epic of Gilgamesh (1800 bce) to the Odyssey (800 bce), the trope of the foreigner appears already particularly prevalent. The artistic context is still one of widely mythological and fantastical narratives, and one could speculate that the desired effect was not primarily to help the audience project itself onto the new existential condition of the hero, as a foreigner in faraway lands. But the environment is already there, and this must be noticed. 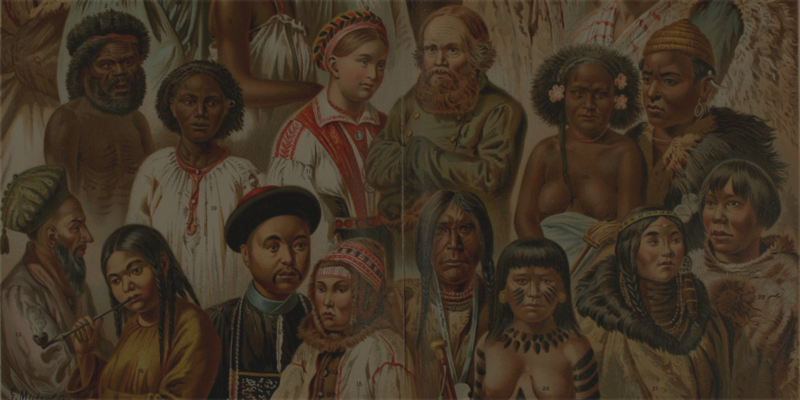 Foreigners, by definition, date back to the earliest forms of human regroupments. The setting of an inside implied the formation of an outside. Attempting an exhaustive collection of foreigners’ narratives, imagined or lived, would thus be a gargantuan fantasy. But it is indeed there that one must start. Besides starting to preserve their intellectual heritage more effectively, the context of Ancient Greece offers some of the earliest refined reflections – and practices – of social arrangements and of a political life. It is, therefore, the logical beginning for our (hi)story of the foreigner. But its imaginary would develop earlier, through a relatively independent alternative lineage, with the early Judaic tradition. The Antiquity would thus be remarkable for a set of varied and original takes on the status of foreigners, in and around the eastern part of the Mediterranean Sea : in the Judaic tradition, in Greece and finally with the early Christians. Passing through the Middle Ages, the foreigner enters the Modern era with the Renaissance and the Enlightenment century, seeing her destiny joining that of the cosmopolitan dream. With the Hegelian system, Romanticism, the psychoanalytic project of Freud and the existential preoccupation of Heidegger and the like, the philosopher slowly invites to see, as Kristeva suggests, the foreigner within ourselves. It is this historical progression that I shall try to briefly track in this book. Julia Kristeva, Strangers to Ourselves (New York: Columbia University Press, 2006). It was published in French in 1988.